I had my first Hands Off My Chocolate experience with their Double Dark Bar and was immediately hooked from the first bite. Today we have the Hands Off My Chocolate Milk Meets Dark chocolate bar, which promises to be the best of both chocolate worlds, and I for one will happily dive into that kind of promise. First off I love the packaging and the bar itself. It’s funky, unique, depicts all chocoholics and clearly suggests that it is all mine and for no-one else! See there is no sharing when it comes to chocolate! The structure of the bar makes it easy to break and has a good solid thickness to it, albeit I think it’s a tad too thick and you need to be careful with your teeth. 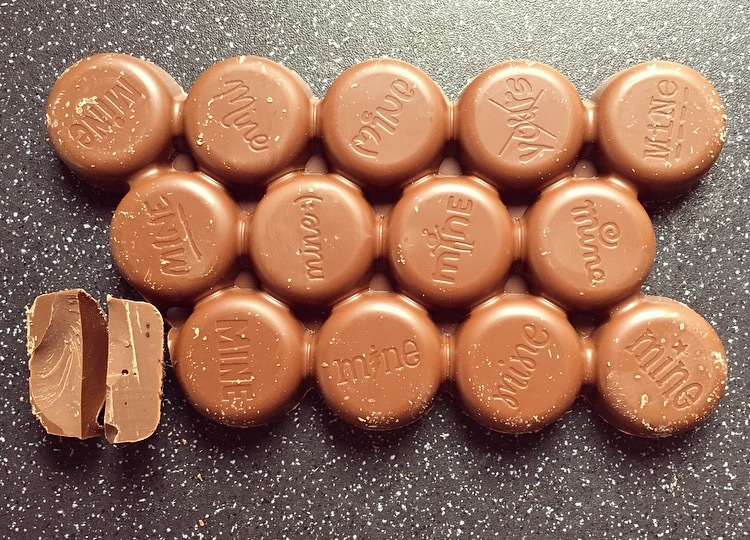 Breaking traditional design codes I much prefer the rounded chunks here to the traditional cubed you get with pretty much every other chocolate bar on the market. The real Belgian quality is certainly there. It’s thick, it’s creamy, it’s indulgent and it’s simply perfect for chocoholics. 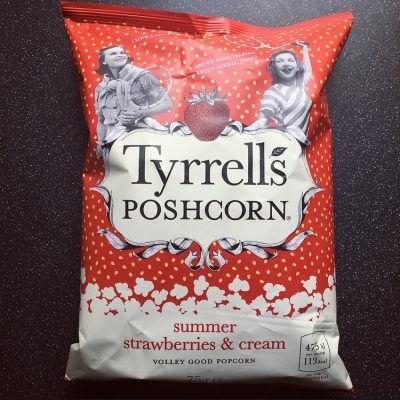 It had the lightness of milk chocolate with the slight bitterness of dark chocolate and popping these two together really was the best of both worlds. Neither are fighting one another to be top dog and instead the balance between the two is just right and becomes a nice middle ground for those who don’t like the harshness from dark chocolate and those who don’t like the sweetness from milk chocolate. 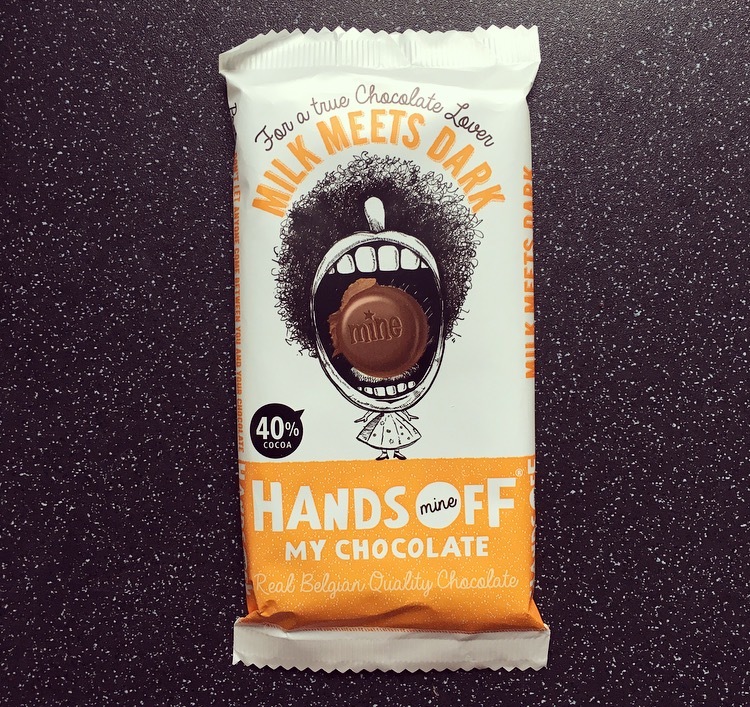 Hands Off My Chocolate Milk Meets Dark is another hit bar, albeit given the choice I do prefer their Double Dark. With a total of 7 flavours, if like me you want to face plant them all you are going to have to hold tight (boooo). 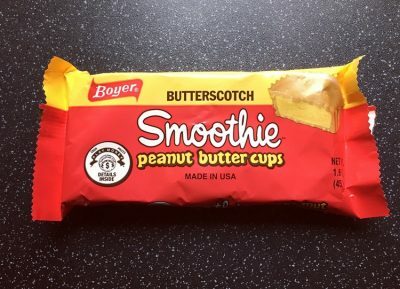 Unfortunately you cannot buy this online yet, they are currently working on an online shop, so until then it has to be a trip to Europe to get your hands on this.